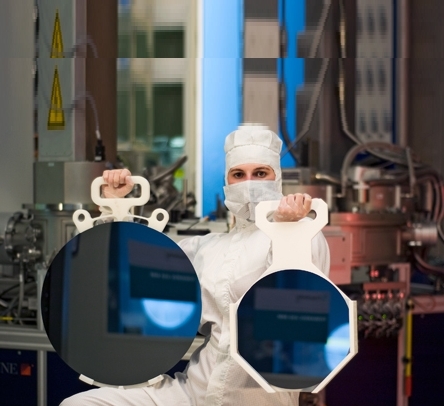 Semiconductor – Plast-O-Matic Valves, Inc.
Moore’s Law: The productivity miracle that has kept the number of transistors on a chip doubling every two years or so. Gordon Moore’s law continues to drive semiconductor innovation. Integrated circuits (IC) are so small, in physical terms, that individual particles of matter play major roles. The smaller an electronic system can be made, the more processing power can fit into a given physical volume, the less energy is required to run it, and the faster it can work. The result is that companies that used to control the entire production process, from design to manufacture, now delegate more and more production to others in the industry. Specifically foundry companies, which allow semiconductor companies to design and market while eliminating the overhead associated with manufacturing. Additionally, specialized designers, packaging and testing companies provide an even more efficiencies that make Moore’s law more relevant than ever. Plast-O-Matic Valves. Inc. designs innovative process controls that lead the industry in cleanliness and functionality to meet these ever changing demands. For an introduction to the valves and valve materials used in semiconductor DI water processes, please click here.